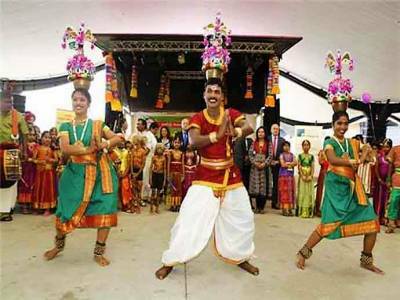 Atta Karagam or simply Karakattam is an ancient and traditional art form in the folk dance genre originating in the south Indian state of Tamil Nadu. Legend has it that the art form came into prominence after it was conceived to offer praise and oblations in glory of the rain goddess Mariamman. The earliest mention of this particular art form can be traced back to the vintage and primordial texts in Tamil literature dating back to a timeline at least five thousand years ago. 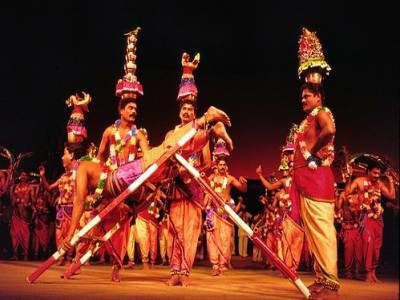 An ancient epic written in the early stage and formative years of Tamil literature is stated to mention that the origin of Karakattam is from the heritage dance form Bharatham with generous contributions from other prominent dance forms present in the history of Tamil performing arts forms such as Bharatanatyam. This particular dance form has several interesting sequences wherein the performer distorts their body in various postures or mudras so as to mimic scenes depicting the greatness of the Goddess of Rain. The dance recital is the way of the associated culture to relate as an offering to please the forces that be and the Rain goddess for a healthy supply of rainfall. The dance recital is accompanied by any song of Carnatic origin. The premises of the attire and cultural significance of this dance recital include distinctly colourful props and dress with resplendently painted faces. The dance form involves balancing a large number of pots of decreasing size on the head of the dancers while dancing and expressing the theme of the dance to the audience through their movements. It is performed as an entertainment form as well as a spiritual practise. However, when performed in a spiritual or religious backdrop it is an oblation of reverence to mark the grace of the Gods. 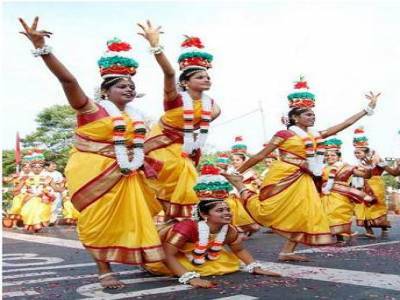 It is believed that such detailed and intrinsically orchestrated dance recitals please the overbearing forces and in return they bless them with bountiful rains and a fertile harvest. 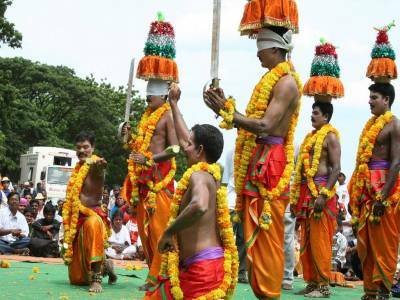 So it is quite evident this dance form has its roots in the socio-economic agricultural society of ancient India. Get quick answers from travelers who visit to Karakattam Folk Dance.